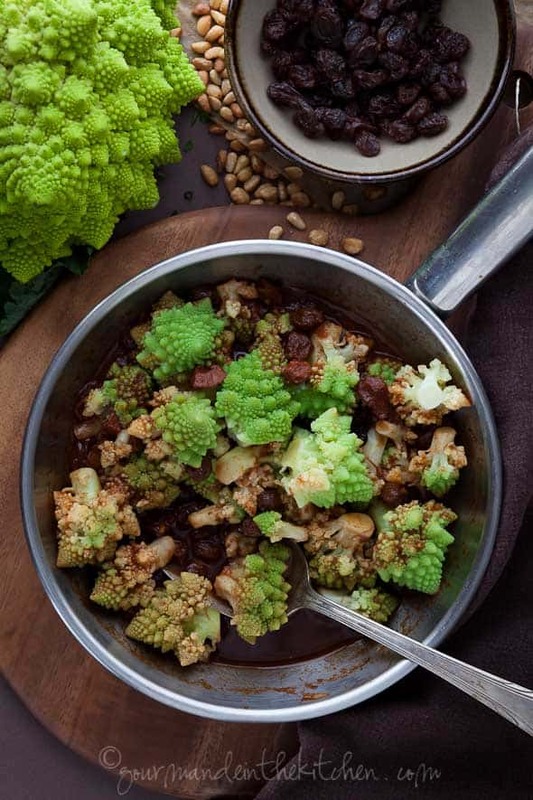 Also called Roman cauliflower, florets of Romanesco cauliflower are simmered in a sweet and spicy tomato sauce. I walked into my local market this past weekend and there they were, pointy headed green globes otherwise known as Romanesco cauliflower. This striking member of the brassica family demanded my attention; it’s was a stand-out among other vegetables both in its unique shape and coral-like texture. The light green color contrasted starkly with its paler, more common white cauliflower sibling and tempted me to grab a head for dinner. Also called Roman cauliflower, this pretty crucifer is rather irresistible once you get to know it. 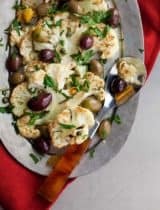 Appealing in taste and appearance it can be prepared much like regular cauliflower, but its mild flavor and tender but firm texture is especially lovely simmered in a bright and bold tomato sauce. 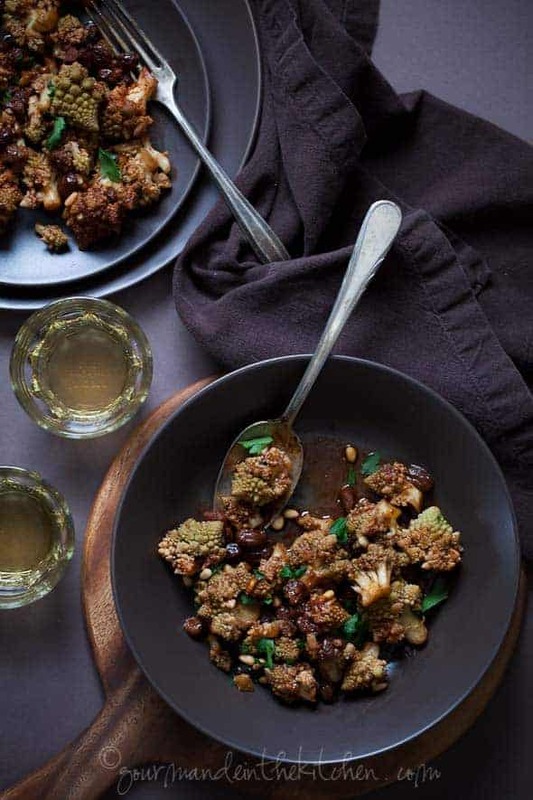 Spicy, sweet and savory all at once roman cauliflower in spicy tomato sauce is a hearty winter dish with steeped in the traditions of Italy and the Mediterranean. The tightly packed light green florets are quickly dunked in boiling water for a few minutes then hit the pan for a short bath in an easy tomato sauce filled with garlic, bits of salty olives and plump raisins. 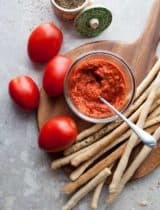 A pinch of red pepper supplies the necessary heat that pulls the sweet and salty flavors into line then water and wine join the party and the whole thing is left to mingle for 10 minutes. Bubbling around and about the sauce infuses each silky floret. Once tender and yielding the dish is finished off with toasty pine nuts and a few fresh snippets of parsley. I’d also suggest a grating of Pecorino cheese to accompany it if you are so inclined. Spicy, sweet and savory all at once roman cauliflower in spicy tomato sauce is a hearty winter dish with an Italian heritage. Bring a large pot of salted water to a boil. Add cauliflower and blanch for 2 minutes. Drain and set aside. In a wide sauté pan warm the butter over a medium-low heat. Add the chopped garlic and a pinch of red pepper flakes and a pinch of salt. Sauté 1 minute until garlic is fragrant but not browned. Stir in the tomato paste, raisins, olives water and wine. Raise the heat and bring the sauce to a boil. Reduce heat to low, add the blanched cauliflower and simmer covered for 10 minutes. 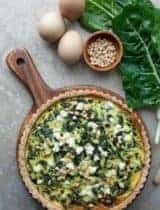 Top with parsley and pine nuts. Serve with Pecorino cheese if desired. Gluten-Free, Grain-Free, Vegetarian, Paleo, For Vegan substitute olive oil for butter and omit Pecorino. This is beautiful Sylvie! Bookmarking the recipe .. cauliflower and garlic is something I cannot resist. I have cooked only once with Romanesco, it was so pretty I didn't want to cook with it!! The roman cauli images are so tack sharp and clear they are almost 3D jumping off the screen and into my face. And that's a great thing! This has got to be the craziest vegetable ever! I always only stare at it at supermarkets, never buy it. Thanks for this! I love everything about this! Gorgeous photos as always. Gah! A new ingredient! I have never heard of this... but gosh it looks so beautiful! yet another lovely new vegetable to me. It looks marvelous. I've always been so intrigued with those spiny little things! Now I have no excuse. I love the boldly flavoured treatment here! The instructions make it look delightfully easy, too. My mouth is watering right now - I wish I had this for lunch! And that shot of the cauliflower alone at the top is STUNNING! I've never tried Romanesco cauliflower but it's certainly striking - the vivid green color leapt out to me at the food markets I visited in Italy last fall. Cauliflower is one of my fav. Never tried these type though but I definitely have to look out for! Romanesco cauliflower is one of a handful of vegetables I always feel bad cutting into because they are so beautiful raw! wow what a way to dress up cauliflower! I have always shied away from cooking these beauties -- but yours look so totally scrumptious, I gotta make it! We love cauliflower, haven't seen these beauties though I've seen orange and purple shaded ones before. Love the solo shot with the purple background, Sylvie. Great contrast of colors! This cauliflower is stunning. I wouldn't know what to do with it but your dish is so inspiring! Beautiful styling! Gorgeous photos - intriguing flavors! Can't wait to try this! I spotted some Romanesco cauliflower in the store the other day grabbed a head just because it was just so beautiful. I love your recipe and am going to have to give this whirl. Have never cooked, but, methinks have seen - and shall seek! 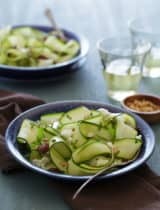 Fabulous vegetable recipe I just have to try :) ! Beautiful Sylvie... I have cooked with romanesco one. .. im bookmarking this recipe. .. Living the pics! As always they are stunning. MUST find this cauliflower here in Telluride ~ so beautiful Sylvie! Love the addition of pine nuts and of course some cheese! I just just stare at that cauliflower all day--such a miracle of nature! What a marvelous way to enjoy romanesco, Sylvie! Whenever I pick one up at the market I tend to roast it in the oven...time to get more creative and try your spicy tomato sauce. Love the raisins and olives in it, too. 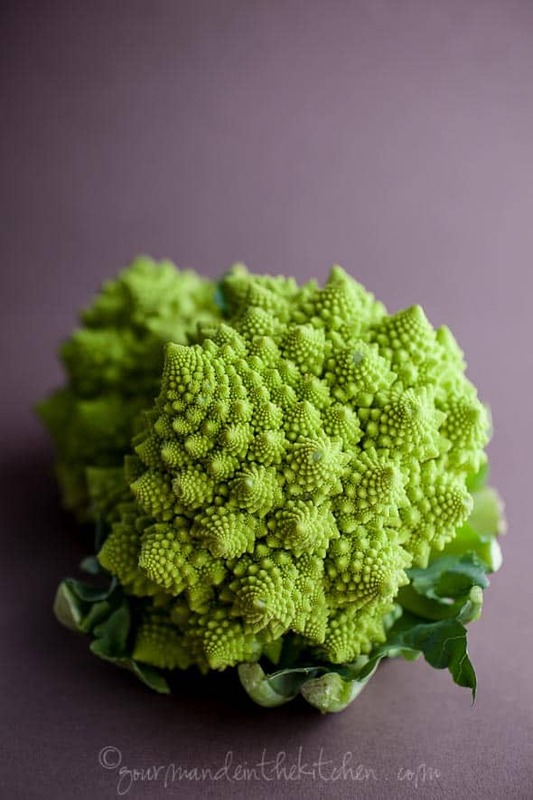 Romanesco is truly stunning and unique (as evidenced by your beautiful photos) and my kids think it looks like it's from outer-space! Your pictures are gorgeous! I would love to have a plate of this deliciousness...looks so tasty! These photographs are STUNNING. In particular, the last shot, with the bright green tops and the dark undersides of the romanesco cauliflower...I'm flabbergasted, amazed, in awe... And it sounds pretty darn delicious too! Such a stunning photo of head of cauliflower...all the details of the florets are incredibly beautiful. And the color is amazing. 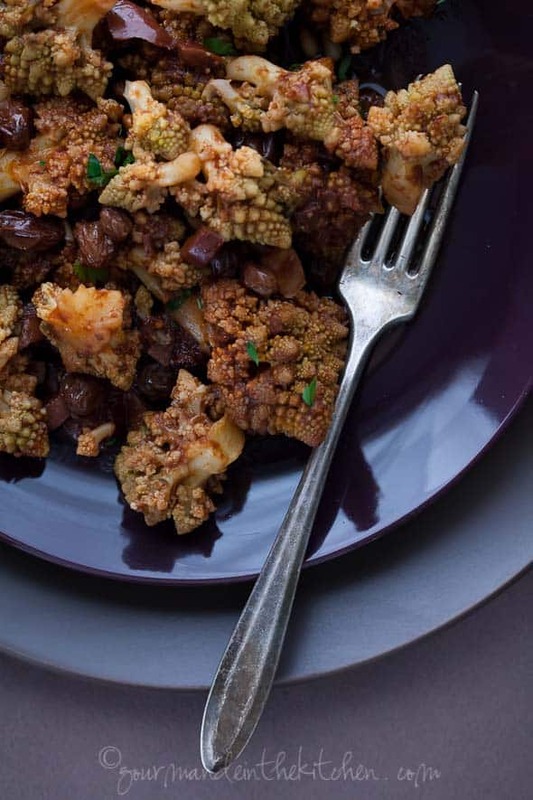 A spicy cauliflower dish sounds like the perfect side dish! Brava! Just saw this type of cauliflower recently. 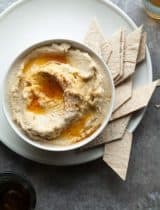 This recipe looks easy & delish! LOVE your photos! Thanks! Yum. I'm crazy in love with cauliflower... but I have yet to try the "spiky" variety. I love this recipe, kind of reminds me of cry cauliflower curries with the intense flavors. I'll definitely have to give it a go! Oh how I love romanesco cauliflower. Whenever I find it in the market (which is not so often) it's such a treat. This spicy tomato sauce sounds so wonderful. I've been on a real olive kick lately. I just can't resist the salty, savory goodness. 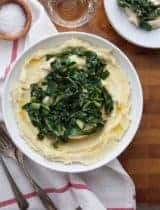 I may have to settle for making this with regular cauliflower, but I'm sure it will be a fantastic dish all the same! So beautiful! These are fairly common in my market but I have never bought and cooked one. 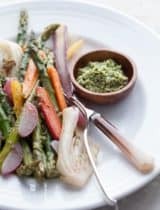 I love this sweet, savory and spicy sauce for a vegetable like this. Perfect and creative! 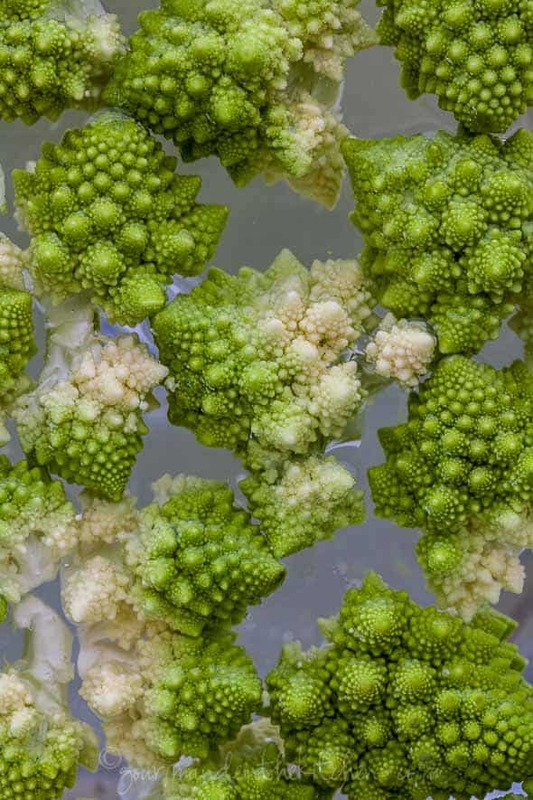 I like this close up shot of the whole romanesco. Beautiful color and texture. Not tasted yet, but I'm a fan of cauliflower, so I assume I'd like it too. I always smile when I see romanesco cauliflower in the store or farmers market-such a happy green color! Love what you've done to prepare it-will be trying this soon for sure! It's going to be a fun trip for me to go grocery shopping next time, looking for this. Great recipe and beautiful photos (as always). 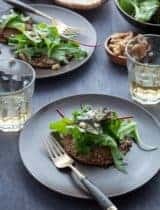 Tried this recipe and it is FABULOUS! This is one of the prettiest vegetables and no one ever knows what to do with it...I will pass this recipe on! I've seen them in stores but for no reason other than lack of familiarity, I've never cooked with this beautiful cauliflower. Now you've convinced me to change this and soon. Lovely dish! This is really stunning! Romanesco has always intrigued me with its incredible chartreuse color - like a freak of nature - and almost gothic architectural shape. Your photographs do it dramatic justice. I'm a new follower, and my oh my, all of your recipes are making me hungry! Can't wait to try some of the out...just have to decide which one to make first! I adore romanesco. It's such a pretty brassica. I can't wait to try it with the sauce! I got waylaid by the wonderful pictures of the Romanesque cauliflower, but I must say I love your site! Thank you! We lived in Rome years ago and I bought and prepared these cauliflower. I have never seen them since. Thanks for the memory! Can't wait to try this, but I dislike olives. Could you suggest any adjustments or substitutions if I want to omit them? You can omit them if you'd prefer, that's fine, but you may need to adjust the salt as they add a little saltiness to the dish.